Hurricane season runs through November 30, and the Bureau encourages homeowners, renters, and business owners to review their insurance policies now to make sure they have enough coverage in the event of a hurricane or other disaster. Know what each policy does and does not cover and contact your insurance agent or company or the Bureau of Insurance if you have any questions. No matter where you live in Virginia, hurricanes and their accompanying winds and rains can threaten lives and property. Once a hurricane develops in the Atlantic, it will be difficult to find an insurance company willing to write related coverage until the storm threat passes. “Whether you are a homeowner, renter, or business owner, the time to prepare for hurricanes and other disasters is now,” said Virginia Insurance Commissioner Jacqueline K. Cunningham. “Make sure you have the insurance coverage you need before a hurricane starts to form,” she said. Does your homeowners policy contain a special deductible for wind or hurricane losses? These deductibles are applied separately from any other deductible on a homeowners policy. The deductible is the amount that you are responsible for paying before the insurance company pays its portion of the claim. Some companies require these deductibles, while others offer them at the policyholder’s option. The amount and application of these deductibles may vary by insurance company, home value, location, and other factors. They may be written as a flat amount, such as $1,000, or may be applied to a loss as a percentage of the insurance coverage on the dwelling. Is your home covered in the event of a flood, surface water, or storm surge? Homeowners insurance policies issued in Virginia generally do not provide coverage for damage to your home and belongings due to floods. However, flood insurance is available through the National Flood Insurance Program (NFIP). Contact your insurance agent or company about purchasing this coverage or visit the NFIP website at www.floodsmart.gov. In most cases, there is a 30-day waiting period for this coverage to take effect. Are vehicles covered in the event of a hurricane or windstorm? If you have comprehensive coverage on your automobile policy, your vehicles generally would be covered. Does your homeowners policy provide any coverage for such things as sewer backup? Most homeowners policies do not provide coverage for sewer backup, but policyholders may purchase additional coverage for this. Ask your insurance company or agent how you can minimize property damage and, if such damage occurs, how to expedite the processing of claims with your insurance company. Prepare an inventory of your personal property ahead of time including photographs, videotapes, and serial numbers. The National Association of Insurance Commissioners’ free smartphone app – myHOME Scr.APP.book – makes creating a home inventory easier than ever. Download the app from iTunes or Google Play. Keep this inventory, as well as your insurance policy and all of your important documents, in a safe location away from your home. If you must evacuate, know the name of your insurance company and take your homeowners, auto, and other insurance policies with you. They will contain your policy number and the phone number of your insurance company in the event you have questions or need to file a claim. If your property is damaged by a hurricane or other disaster, call your insurance agent or company as soon as possible. Make any necessary emergency repairs and take reasonable steps to prevent further damage to your property. Record all damage to your property and include photographs, notes, and repair-related receipts. The Bureau of Insurance has specially trained staff who can help consumers with disaster-related insurance questions or problems. For more information, contact its Property and Casualty Division at (804) 371-9185 or toll-free at 1-877-310-6560. 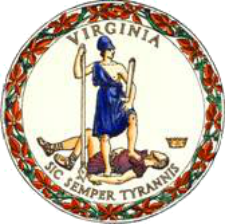 Consumers who are hearing or speech impaired may call through the SCC’s Telecommunications Device for the Deaf and hard of hearing (TDD) at (804) 371-9206. The Bureau offers free consumer homeowners, auto, and commercial insurance guides, as well as disaster guides for homeowners and businesses. These and many other consumer insurance guides are available on the Bureau’s website at www.scc.virginia.gov/boi. For additional emergency preparedness information relating to hurricanes and other types of disasters, visit www.ready.virginia.gov. This statewide public education effort is designed to prepare Virginians for all types of hazards.